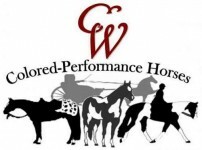 CW has a combined 40 years experience with breeding, training, and showing horses professionally for themselves and outside clients. Specializing in Western Pleasure, Hunter under Saddle, Ranch Riding, Trail, Showmanship and Halter. CW COLORED-PERFORMANCE HORSES is a Show Barn in North Spokane. We show multiple associations and breeds at every level through World Shows. English, western, halter, SMS, trail, Ranch riding/pleasure. Offer Full or Partial Training & individual or group lessons. I had my horse in show training (all around events) with Candi off and on for a few years. She trains for modern movement and is effective at communicating with horse and rider. I trusted my horse to receive the best care and was not disappointed. 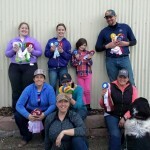 Riding and showing with Candi and her clients was a lot of fun – a good group of people! Join us for the fun of Showing!